The U.S. is home to around 1.5 million nursing assistants. Most work in skilled nursing facilities or hospitals. Regardless of the setting, aspiring nursing assistants must complete a state-approved education program and pass their state’s competency exam. Passing the exam places them on their state’s registry and allows them to use state-specific titles. While some states such as South Dakota and Indiana use the title “certified nurse aide” (CNA), the most common title is “certified nursing assistant” (also CNA). There are thousands of nursing assistant programs across the country. They are offered at high schools, community colleges, hospitals, nursing homes, four-year colleges and universities, and vocational and technical schools. To enter a program, the minimum age requirement is typically between 16 and 18 years of age. The minimum education requirement is a high school diploma or GED. It is important to note that certain employers may not hire graduates until they have reached 18 years of age. In addition to these age and education requirements, many states and programs require a background check. While tuition costs vary greatly, students can expect to pay $1,200 or more for a quality, comprehensive program. Programs are often six to twelve weeks in length and curriculums combine classroom and laboratory learning with clinical training at a medical or nursing facility. At a high level, these programs cover the role and responsibility of the nursing assistant, safety and infection control, bed-making and environmental comfort, and taking vital signs. Most programs include coursework on nutritional requirements and techniques, admission and discharge procedures, and exercise and activity. Students will also learn about unsterile warm and cold applications, rehabilitation of clients with special needs, and care of patients with nervous system diseases, diabetes, respiratory diseases, or cognitive impairment. Many CNA programs deep-dive on anatomy and physiology topics, from the cardiovascular system to the urinary system. Personal care procedures such as bathing, dressing, skin care, hair care, oral hygiene, and shaving are frequently covered, as are intimate procedures like the collection of specimens and bowel/urinary elimination. Nursing assistants may earn additional credentials such as certified medication assistant (CMA) or certified medication aide (also CMA). This allows them to take on the added responsibility of administering medication. Nursing assistants may also take additional courses to specialize in an area such as geriatrics or dementia. Adding a specialization often enhances earning potential. Nationwide, CNAs earn an average of around $25,000 per year annually. 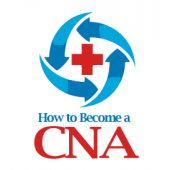 High-performing CNAs can earn more than $30,000 per year. The road to success as a certified nursing assistant begins with a high-quality CNA training program. Use our directory to locate some of the best nursing assistant programs in your local area.